I’m so pleased to announce the details for the official launches of Kendra Kandlestar and the Crack in Kazah! If you live in the Vancouver area, come join Kendra and I for a special HallowEEN event on October 28th. Not only will you be able to be one of the first to get your paws (er . . . why do you have paws?) on the new book, you will have the chance to win all sorts of prizes. There will be a costume contest, so come as your favorite fantasy character (even if it’s NOT a Kendra character). Of course, if you do want to come as an Een, we’ll have professional Een-braiders on hand to help you with your hair designs. There will also be plenty of Een treats, some activities, and even a special appearance by Kendra Kandlestar herself (we’ll have to get her to eat some of Ratchet’s “grow dough” so she’s a bit bigger—I don’t want any of you bigger kids stepping on her!). Just check out the “Celebrate” page on kendrakandlestar.com for all the details about this and the other upcoming Kendra Kandlestar events. Here it is . . . as promised! Kendra Kandlestar and the Crack in Kazah will be released just in time for Halloween, but you can read the first chapter right now! Also, be sure to visit kendrakandlestar.com for links to the book trailer, teacher guides, and the online Eencyclopedia! By the end of this week, I’ll be posting a link to read a sneak-peek of the new Kendra Kandlestar book! Enjoy—and stay tuned for an announcement about the details for the OFFICIAL LAUNCH PARTY for Kendra Kandlestar and the Crack in Kazah. It looks just like my illustration of the turtle in our book, don’t you think? Now the challenge is for someone to make a Kendra Kandlestar character out of dough. 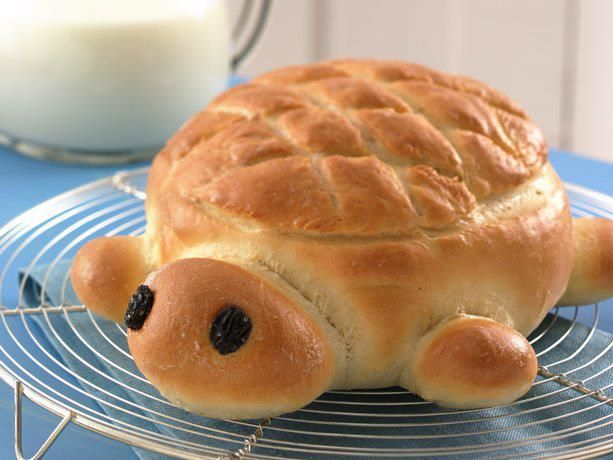 Oki would be pretty cute in bread form . . . don’t you think? If you can read Korean . . .
. . . Then you can read my interview that has appeared on a “kids news” website in Korea! As part of a school project, one of my summer camp students, Yujin, conducted an interview with me last month and she just sent me a note to say that her work was chosen to appear on the site. 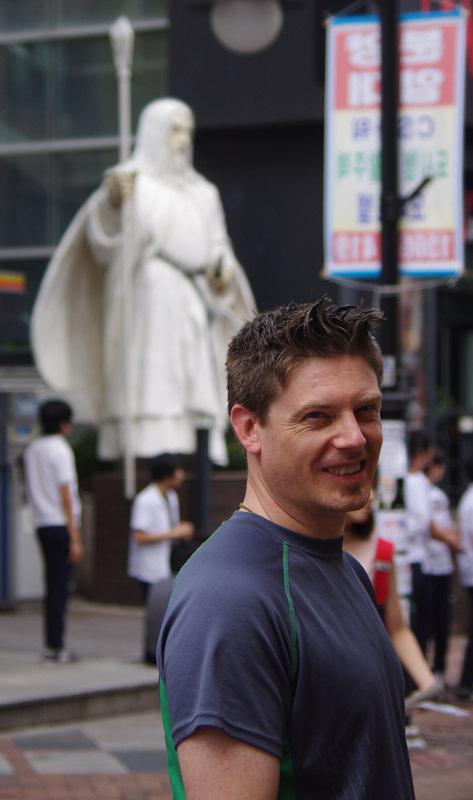 Oh, and by the way, here’s a picture from my latest trip to Korea, standing next to a cool Gandalf statue in the theatre district of Seoul. Okay, well you can’t see Gandalf very well. (My friend kc dyer says this is absolutely the best picture of me ever taken. Probably because she is the one who took it). 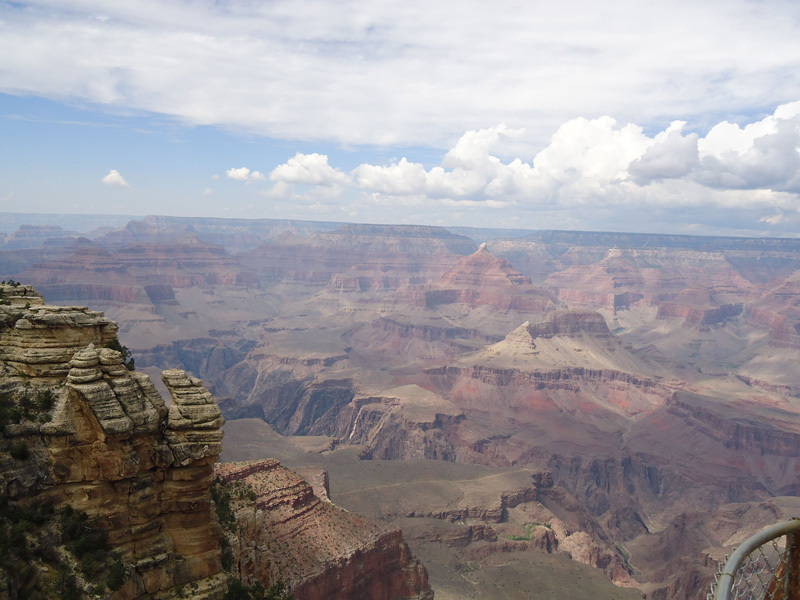 If you’ve never been to the Grand Canyon, then you have most certainly seen photos of the strange and magical rock formations. Those photos won’t do it justice—trust me. So, if you have been seeking that tiny land snuggled between the cracks of here and there and not having much luck, then you might as well take a detour to see one of the visible world’s greatest natural wonders. 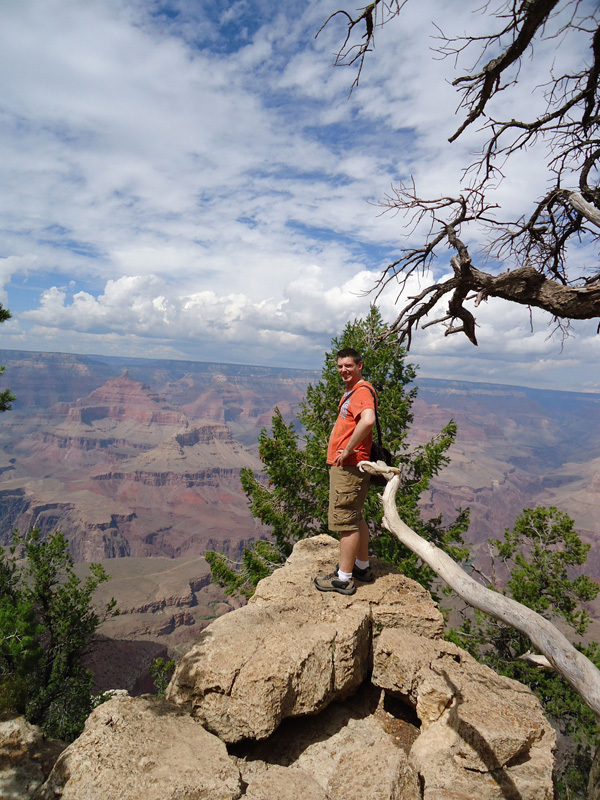 As for me, I loved the Grand Canyon, with its terrific vistas and it’s seemingly never-ending horizon. With each step along the rocky ridges, I was gripped with a whirlwind of emotions: awe, terror, and wonder all at once. I particularly enjoyed seeing all of the wild life. 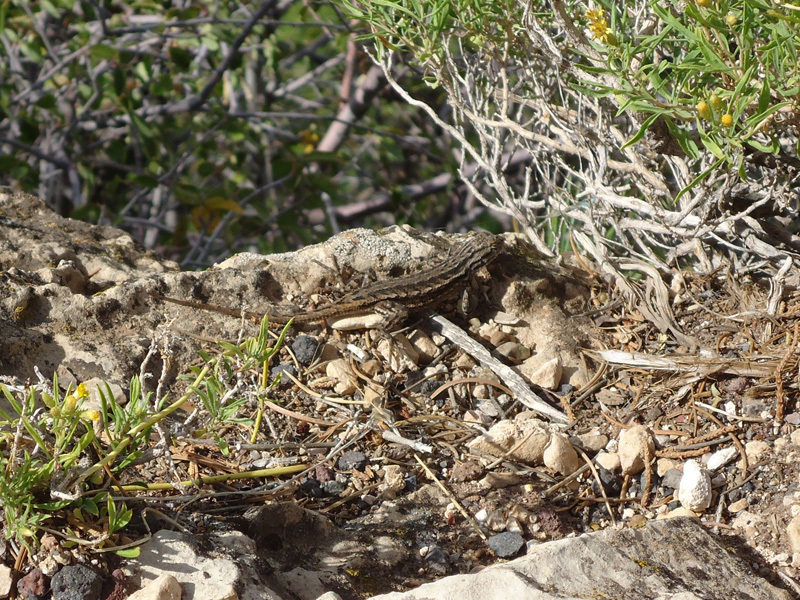 We didn’t stumble upon anything dangers (no scorpions, spiders, or rattlesnakes), but there were plenty of ground squirrels, crows, blue jays, and even one magnificent condor that soared overhead. Then, whenever we seemed to stop and sit for a moment of quiet reflection, a tiny critter would sneak out and scurry past our feet. 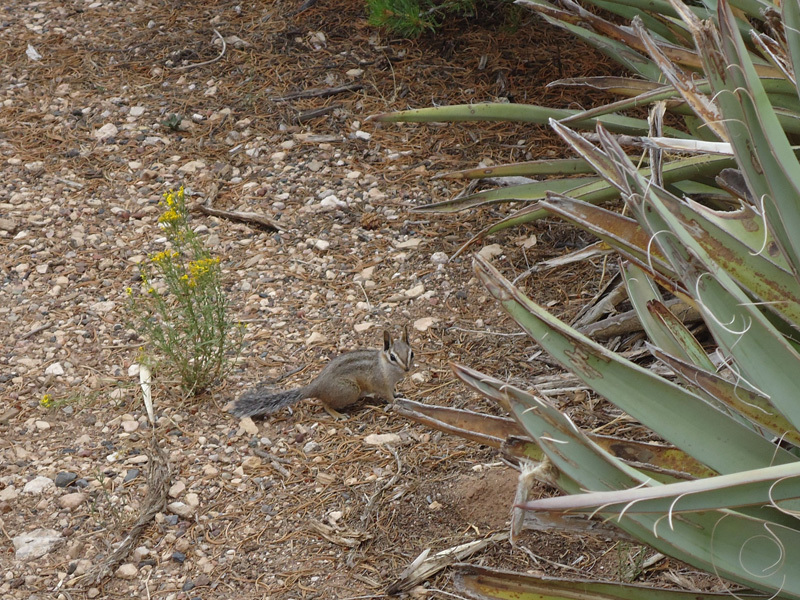 These included one whiskery little chipmunk and a tiny lizard. 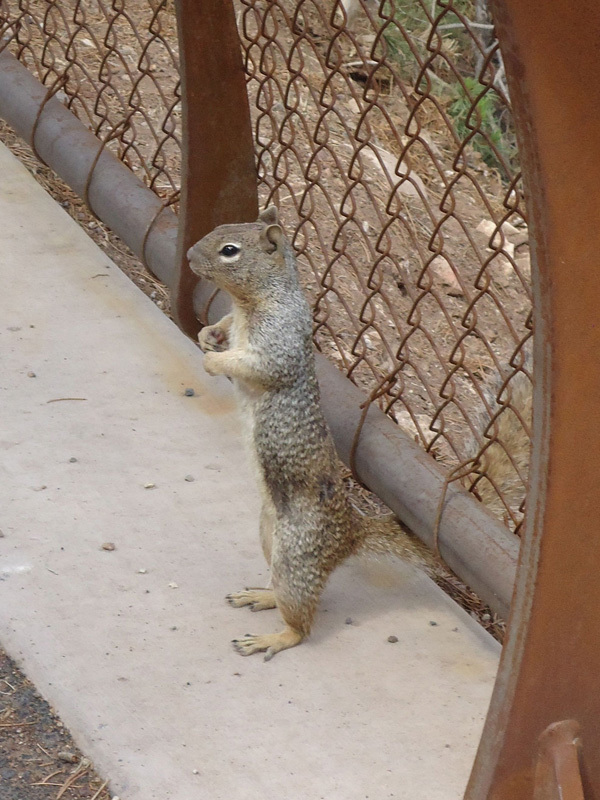 As for this ground squirrel, he kept standing at attention. As such, he reminded me of one of those Een critters who serves as Captain of the Een guard. Of course, Marcie is always one for a pose. She wanted to imagine she was figure skating on the edge of the ridge . 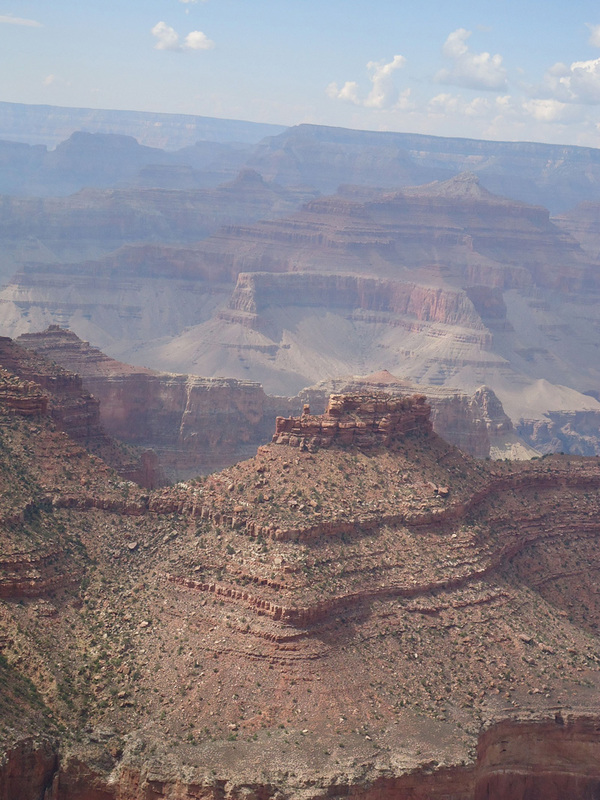 . .
As for me, the trip to the canyon served up plenty of inspiration for my next book about Kendra. If you have been following her adventures, you know she has been seeking a strange place called the City on the Storm. I’ve been collecting photos of rock formations for literally years, thinking of this City on the Storm, and so when I found myself in the US southwest, I knew a trip to the canyon was absolutely essential. Of course, you’ll have to wait to find out about the City on the Storm—you won’t see it until Book 5 of the Kendra series. But don’t worry. Book 4 is out next month, so there will be plenty to keep you amused.
. . . well at least in Las Vegas. While on my recent vacation, I spotted this street performer taking a break in the sweltering heat to send a text. 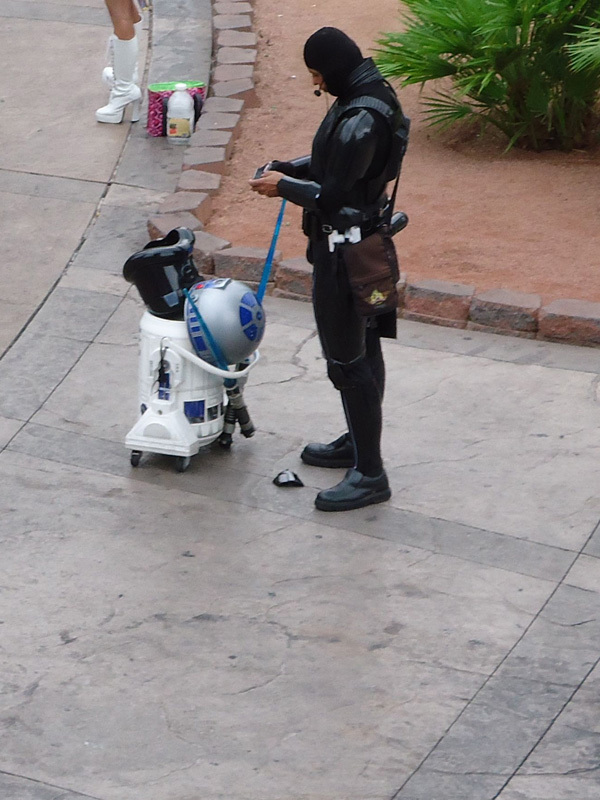 I assume he’s communicating with Lord Vader. Any guesses as to what he’s saying?